Craving pizza? You're in luck. A new SF Hole in the Wall Pizza has opened its doors at 1825 Irving St. in the Outer Sunset. You can find its flagship location in the Marina at 3244 Scott St. Formerly Irving Pizza, the new pizzeria is under the same ownership but has reopened with a new name after an extensive remodel. The expanded space features additional seating, more televisions and 10 beers on tap. Come late on a Saturday night after the pub crawl and grab a large slice of arugula pear pizza with blue cheese and mozzarella; classic pepperoni with mushrooms; or the San Francisco with pepperoni, ham, olives, feta and ground beef. Calzones, burgers and appetizers like garlic bread, fresh-cut fries and meatballs are also on offer. SF Hole in the Wall Pizza has garnered positive reviews thus far, with a four-star rating out of eight reviews on Yelp. Hiba Z., who reviewed the new spot on Aug. 18, wrote, "When I walked in I knew right away this is an elevated pizza place. Starting with great service, perfect pizza and a comfortable fun environment. Will definitely come again and bring some friends." 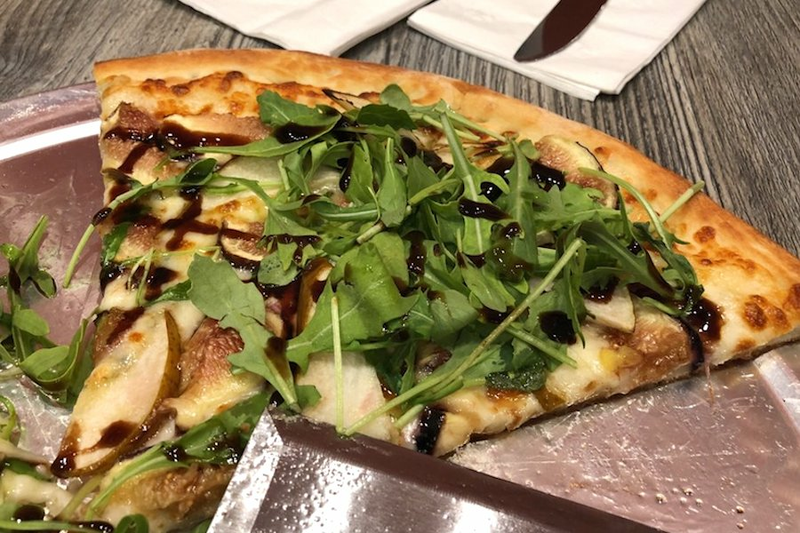 Yelper Megan M. added, "Same owners as Irving Pizza in a beautifully renovated space that's well lit and great for families. The fresh ingredients really make the pizzas." Intrigued? Stop in to try it for yourself. SF Hole in the Wall Pizza is open from 4 p.m.-1 a.m. on Monday and Tuesday, 11 a.m.-1 a.m. on Wednesday, Thursday and Sunday, and 11 a.m.-2 a.m. on Friday and Saturday.